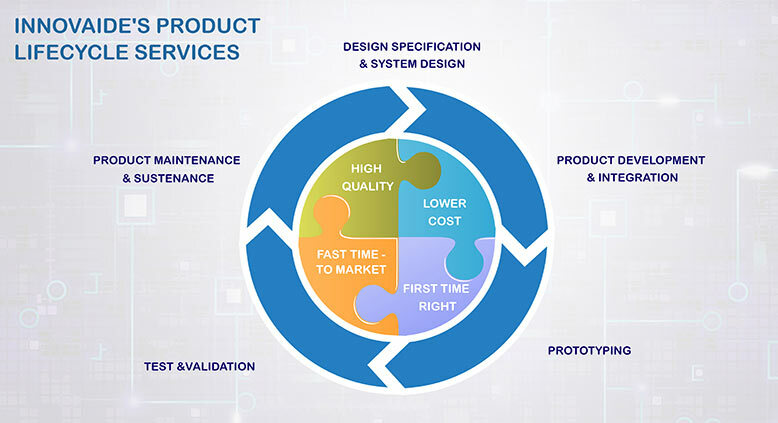 We provide integrated technologies and customization services from product architecture to product testing maintaining stringent quality standards. Our global teams in US and India work with you to develop products faster and at a lower cost, which in turn helps increase your bottom line. We augment your team’s capabilities by providing a vastly experienced R&D team that helps you always stay ahead of the competition. Copyright © 2018 Innovaide Inc. All Rights Reserved.